Iberia is currently offering a 50% bonus when you buy 2,000+ Avios before 31st December. These will drop into an Iberia Plus account, but can be moved to British Airways via ‘Combine My Avios’. Here are the prices. You MUST log in to see the bonus. 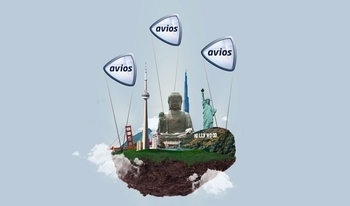 The maximum purchase is 200,000 Avios with a 100,000 Avios bonus for €3,601! This works out, in Sterling, at 1.06p per Avios. I am not a buyer at this level but your circumstances may be different. It doesn’t get a lot more expensive per point for smaller quantities. The Groupon Spain deal is also still running – click here. Avios sells its points very cheaply via Groupon Spain as long as you credit them to Iberia Plus. The Groupon deal is better value in most cases, although messier because you need to wait for Groupon to send your codes which you deposit into your account. Use ‘Translate’ in your browser to see how it works. Full details of the deal are here. If you a high level member of the Executive Club you may, depending on your tier points, receive a ‘Gold Upgrade’ or ‘Gold Upgrade for Two’ voucher, generally known as a GUF1 / GUF2. This lets you upgrade a cash or Avios British Airways ticket by one class. Most GUF holders think that you need Avios availability in the higher class to use the voucher. This is NOT true if you are upgrading a cash ticket. What IS true is that, if you try to use your GUF on a cash ticket via ba.com, there MUST be Avios availability in the higher class. However if you book via a travel agent then this is NOT the case. Your GUF upgrade can be processed as long as CASH tickets are still available in the higher class in the cheaper ticket buckets. You can find out more on this travel agent website here which is one of the few agencies who actually know how to process a GUF. If you want to upgrade a cash-bought Club World ticket to First Class, you need an ‘A’ class ticket available in First. These are the cheap(er) non-refundable ones. Now we get to the point …..
From 10th December, British Airways is withdrawing ‘A’ class availability on Dubai and Boston. Only ‘F’ bucket First Class seats will be sold on those routes. This is part of “a trial of new inventory buckets” – you can read more about it here. It is likely that a travel agent will NOT be able to book a GUF into a cash bucket for Boston or Dubai after close of play on December 9th. If you had been planning to use your GUF to travel in First on either of these routes you may want to move quickly. Abu Dhabi remains a nearby alternative for Dubai of course. This will also impact the ‘joker’ reward space opened up for Gold Guest List members since that also requires First Class to be showing ‘A’ bucket availability. Accor (Novotel, Mercure, Ibis, Sofitel etc) has launched a new promotion offering bonus points on your next stay. I would be surprised if this doubles up with the current ‘triple Avios on your next Accor stay before 31st December’ offer that we wrote about here, but it does no harm to register for this new one too just in case. Announcing Virgin Atlantic and Virgin Money as the sponsors of the 2018 HFP Christmas Party - and more raffle prizes added! O/T but is anyone aware of any reward schemes that you can redeem against nights at the Shangri-La? I collect Virgin Miles/Avios and a number of others, but the only redemption I can find is on Kaligo which excludes the one hotel I’m searching for which is Shangri-La London! No, I don’t think so, sorry (obviously Shangri-La has Golden Circle but there are no transfer partners in that I know of). Silly question – anyone know how to track number of Amex referrals you’ve made? I have a Plat and I’m not sure if I’ve referred 5 of the 5 slots I have. The rewards points statement only goes back 3 or 6 months but I’ve had the card longer. I guess you could explore your MR points earning history and count up the +18,000 incidents this year. Download the pdf statements – they go back much further. At end of those is a summary of MR points earned that period. Can easily see how many you have used up. Thanks both. Will do the PDF statements. OT Contrition – backed up by donations to charities – from IAG, following claim that EI staff were robbing the company en masse. Actually the contrition clearly isn’t IAG wide. The seat shifting she talks about on the flight from Rome to London (2nd set of cabin photos) are surely just because the Club Europe cabin expanded into the seats she had supposedly pre-booked a while before. Appreciate some advice when making first ever avios redemption! Looking to book return business/first to Florida for Disney during Christmas period 2019. Looking at going during off peak period In early December. Got my notifications set up on redemption finder. Happy to do open jaw to any of the 4 Florida airports. Got BA 241 and Lloyd’s upgrade. Flying Me, wife, 4yr old, and baby (due in Jan 19). How do I go about booking this!? In particular how to use Lloyd’s now Avios.com is dead and booking outbound first and then inbound once become available and how do I book baby who does not yet have a name let alone passport. This is going to depend on how many seats BA release in the class you want. Some HFP readers are happy to travel on different days, but this would take some enjoyment out of the trip for me (especially with small children!). I think you would struggle to get 3 seats in first but might get them in CW to Miami, others might have more experience with this. If there are 3 seats available your best option would be to use the 2 4 1 for one adult and the 4 year old, then use the upgrade voucher for the 2nd adult. However, this would need 2 separate bookings and there’s a chance the 3rd seat would go in the meantime (unless one voucher belongs to you and one to your wife, in which case you could do the bookings almost simultaneously! I think you can add an infant after it’s born as it won’t need a seat. Another option would be to use the 2 4 1 and make a cash booking for the 2nd adult. You would probably get a good deal on a package (with hotel or car) prior to the start of the school holidays and you wouldn’t have to pay the balance till 5 weeks before you travel. You would get a decent chunk of avios for this as well. You have to call avios.com to use the upgrade voucher, they can book the outbound then add the return on later. You can’t do this at midnight, though, as their call centre doesn’t open until 8 am. OT – has anyone else had multiple texts & emails from BA today announcing changes of flight times for next year? Never had so many in such a short space of time (9 flights changed so far)! No flights in for next year yet, but we got hit with the same thing happening this year with a few flights out of Manchester (which I think is where you many fly from). A couple of flights got moved to the next day which meant we had to go and try to sort out our prepaid Air BNB! Yes all originate and end in MAN but it’s the LHR legs which have been changed! I think you’re right. Booked a cash ticket on VS with my Plat earlier this year and was surprised to see the flight details on my statement. They’ve certainly always shown the flight details, the question is whether then make use of them when determining offer eligibility or not I guess! Don’t you just love it when hotels offer all these “Bonus Points for stays”.. but more commonly for last minute bookings. Where’s the bonus point options for early bookers? Don’t they deserve thanks and bonuses too?